At the start of this year we were delighted to welcome the University of Notre Dame Provost Thomas G. Burish and Vice President and Associate Provost for Internationalization Michael E. Pippenger. An evening reception was hosted here in their honor, attended by staff, faculty, students, and alumni. 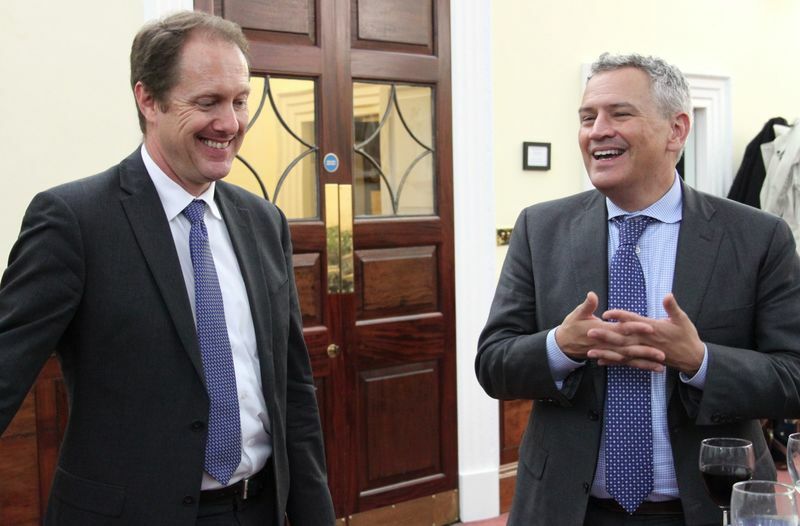 Burish and Pippenger met with a wide range of stakeholders during their visit and gained insight into the workings of the London Global Gateway. They also shared their visions for internationalization at Notre Dame and discussed how we might optimize cultural immersion opportunities. Pippenger continued this discussion with Times Higher Education – read his interview, which also considers the potential for research collaborations with UK universities post-Brexit. As the visit coincided with our students’ arrival in London, Pippenger observed their orientation. 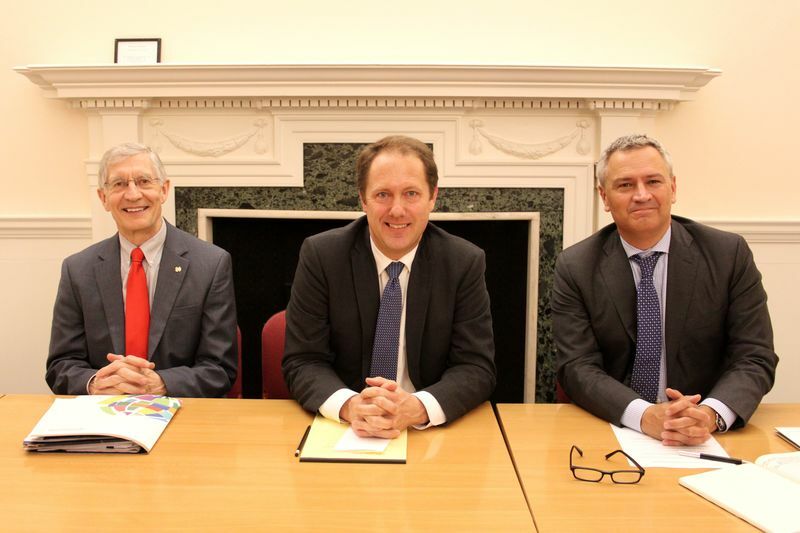 “It was an absolute privilege to see the entire Global Gateway team lead the orientation sessions for 140 undergraduate students studying in London,” he said. Pippenger took the opportunity to welcome them himself, expressing a great fondness for the city and encouraging them to make the most of all that it has to offer. 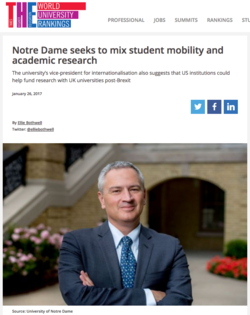 Originally published by Rina Buznea at international.nd.edu on February 15, 2017.